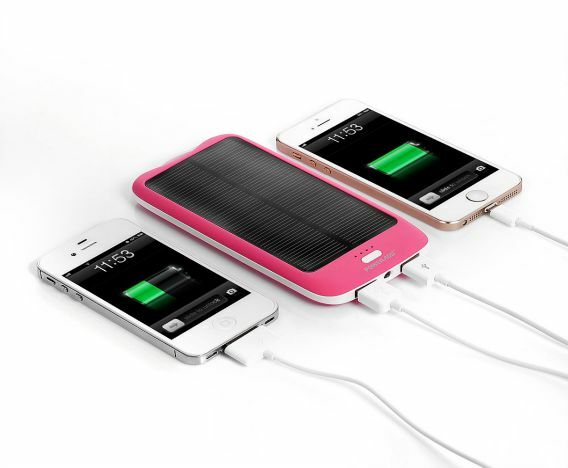 The famous solar power bank – Poweradd Apollo2, the brand name doesn’t quite roll off the tongue but it does feature built-in 10000mAh high capacity rechargeable battery. Poweradd Apollo2 10000mAh solar power bank comes with stylish design, ergonomics, and portability. With two USB outputs, it can charge two devices simultaneously such as smartphone, MP3 player, GPS, and more. Its time-proof battery cell combines with high solar conversion to provide outstanding solar performance, when the power bank goes low, just use the sunlight to charge up the Li-ion polymer battery cell. Once the battery fully charged, it can last for 4 days.